The Jordan’s Credit Card makes it convenient to purchase the furniture and mattresses you love instantly. And, with no-interest with equal monthly payments options, you can take your time paying for them. 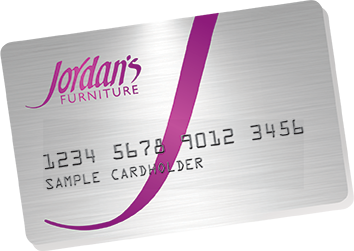 Use your Jordan’s Credit Card to shop at any Jordan’s Furniture store or online. *Offer subject to credit approval. Some restrictions apply.